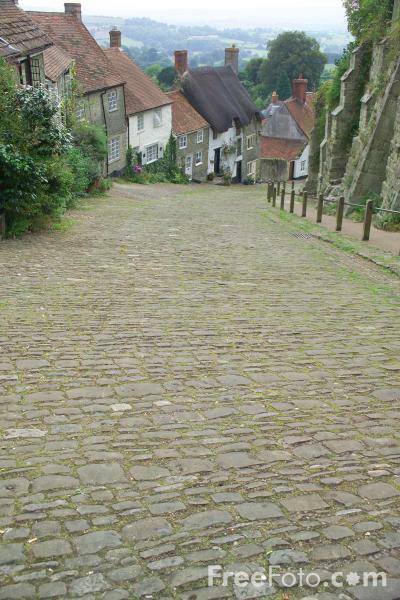 Picture of Gold Hill, Shaftesbury, Dorset. Gold Hill is the most famous street in Shaftesbury and features on countless chocolate boxes and calendars. VIEW: More images from the category Shaftesbury, Dorset or around the same time .